Toronto is blessed with many beautiful and unique locations for weddings and engagement photos. Although we don't have the breathtaking mountains on the west coast or the endless sea line on the far east coast, we have four distinct seasons and the unique colours and mood associated with each; we have a huge calm body of water (Lake Ontario - one of the five Great Lakes of North America, 14th largest lake in the world! ); we have a downtown city filled with characteristics (street carts, graffiti, historic buildings); we have gorgeous sunrises and sunsets, blue sky; we have maple leafs, pine trees, cherry trees, all are dreams come true for photographs in the right season. This is only to name a few. We also have unique architectures, city skyline (and good standpoints of the different perspectives to the Toronto skyline), country barns, just to name a few others. 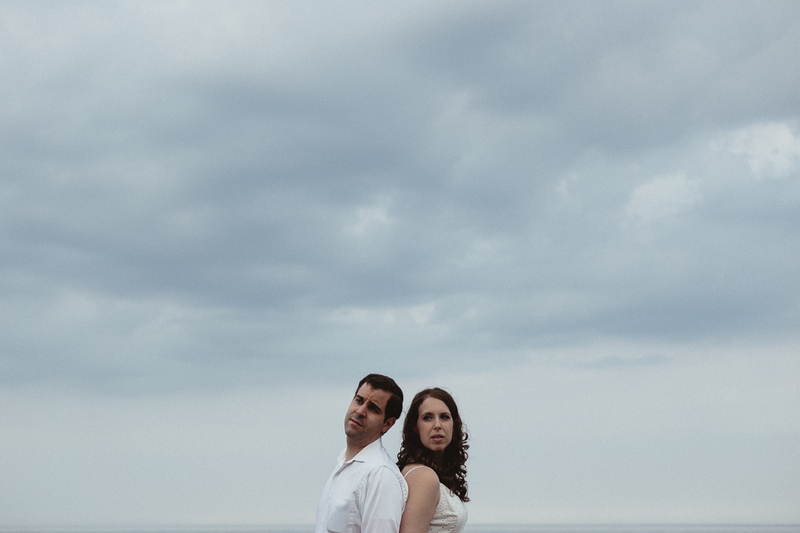 For Sharyn and David's engagement photos, I picked a little hidden location by Lake Ontario. 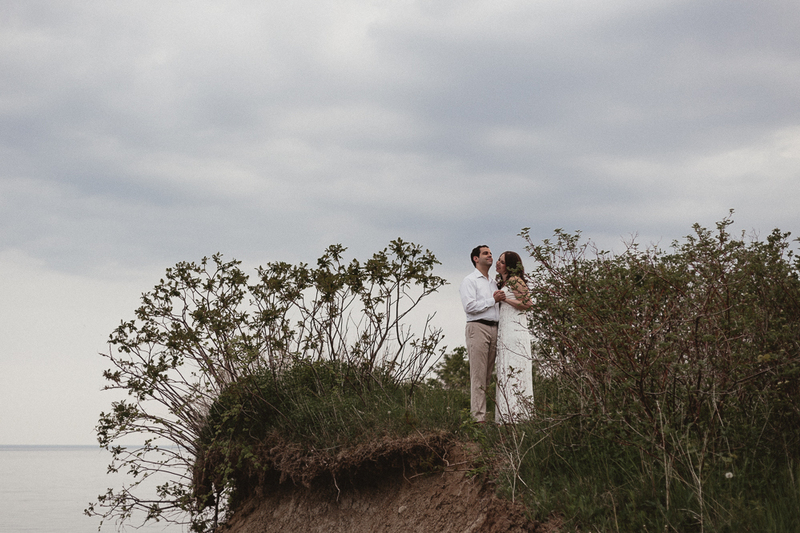 This spot packed with water, trees, woods, soils, intersting lights for some uncommon engagement photos. 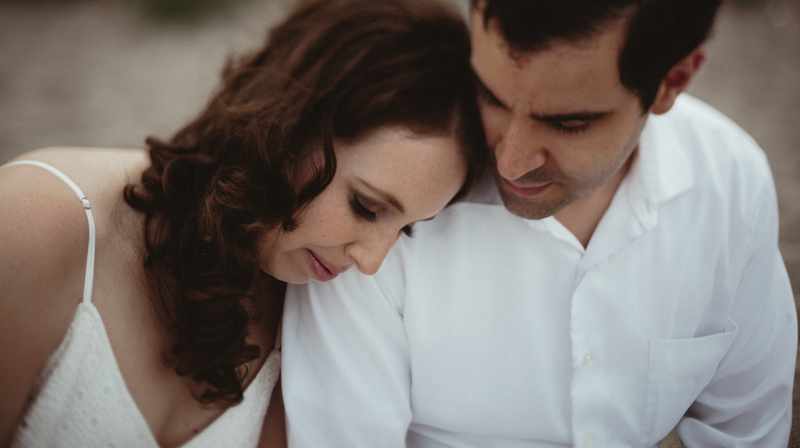 Sharyn and David currently work and live in New York and their apartment on Long Island New York is by the beach. When I told them that I've selected a beach for their engagement photos, they're very excited. Though at the end of the session Sharyn mentioned that they're expecting a different kind of (/a bigger) beach but they loved the intimacy of this place. It almost looks like an abandon island with two lovers causally wondering around and of course being filmed. The weather also plays well for us. We almost have to reschedule because of the potential storm. 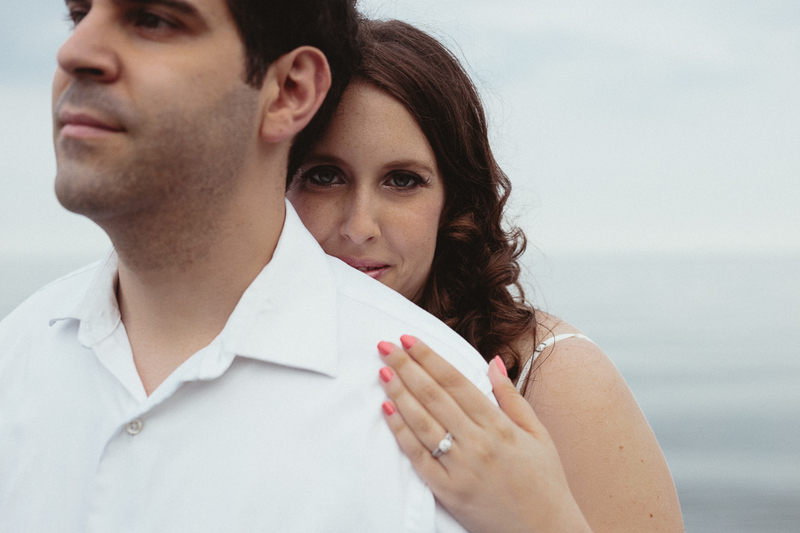 Together, we make some romantic, intimate engagement photos for these two to bring home.